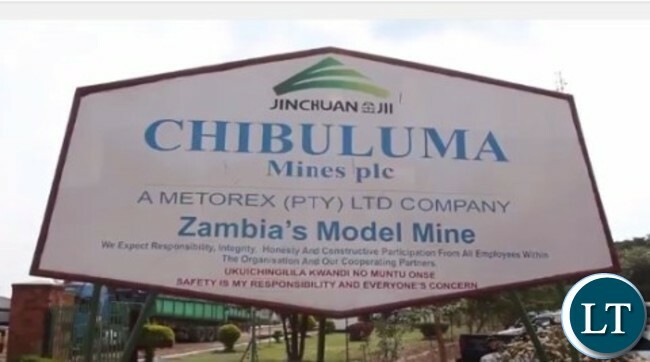 CHIBULUMA Mines Plc has rescinded its decision to lay off 42 employees under its restructuring programme aimed at saving the company from collapse. Board chairperson Jackson Sikamo said in a statement yesterday that the mine has embarked on operational restructuring aimed at ensuring survival of the company and job security for miners. Mr Sikamo said the decision to save 42 jobs was reached after negotiations with Government and the Mineworkers Union of Zambia (MUZ). “As a consequence of the restructuring, 300 jobs were initially planned to be lost; however, through dialogue with the Government and the worker’s representatives, this number reduced to 258 employees. “The first phase of the restructuring process saw 127 employees declared redundant in January 2016 with plans of releasing the remaining 131 by the end of February 2016. “After further review and continued dialogue with all stakeholders, the company established that it would be more cost-effective to reduce production levels, streamline operations and continue to run its operations without outsourcing,” Mr Sikamo said. He said the company would continue executing additional cost-cutting measures to ensure the business remains viable. “We would like to take this opportunity to thank all employees for the discipline exhibited during this challenging period; the union for the support and maturity in dealing with the issues as they arose, and the Government for the guidance provided throughout the process,” Mr Sikamo said. He said the company has been facing operational challenges that made it difficult for it to sustain the entire workforce. Radio Mano rescinds decision to close indefinitely. And, you call this rescinding the decision to retrench workers when the bulk of the targeted number has been retrenched?? Dont blame management for job cut. The miners themselves especially those frm underground mining are calling for the job loss even wanting to strike so that they shud sent off. Has this article been authored by thickneck Chimbwili? UPND always praying for bad things to happen in their only country. Anything good is bad news to them and anything good is bad news to them. The question is why did they choose RED of all the colours? Which king in the Bible was wise and built God his house? Which president is building God his house? chiluba gave himself a house but lungu has chosen to give God ahouse. king solomon never chose wealth but wisdom. God gave hime wisdom and wealth. HH chose money and God gave him………. GOD has already many houses in this country. Those churchs you see are called house of GOD unless limbi uko upepa but as for us CATHOLIC we call our temple house of GOD. “I hope i ve helped you, then coming to yo chagwa he is not going anywhere he will just remain yours 11/08 its KACHEMA even your heart knows that or ask pipo around you”.